We have informative audio and video resources on Drinking Water Source Protection. 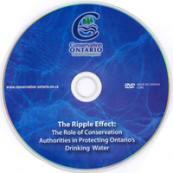 The Ripple Effect, is a 15-minute DVD on the role of Conservation Authorities in protecting Ontario’s drinking water. The video is available is Windows Media format and can be downloaded below. The Mattagami Region Source Protection Committee created a commercial for education and outreach.This commercial was aired on CTV in the Timmins and surrounding area.